The School of Engineering & Technology consists of four departments. They are Department of Computer Science & Engineering, Department of Information Technology, Industrial Engineering & Management and Department of Micro-Electronics & VLSI Technology. Vision: To excel in imparting quality training in technological education and carry out research in frontier areas of Computer Science & Engineering and Industrial Engineering. This School aims to become a Centre of Excellence in teaching and research as well as a nodal centre to act as an Academic Staff College for training teaching personnel for engineering and technological institutions. Mission: To create an excellent teaching- learning environment where undergraduate and postgraduate students are made aware of the state-of-art technological developments. To offer a wider spectrum of knowledge and develop the set of skills required to prove ones ability in the highly competitive world of technological learning. 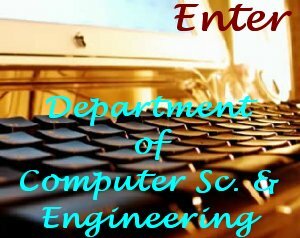 The Department of Computer Science & Engineering, under the School of Engineering & Technology offers B.Tech. in Computer Science & Engineering (CSE), B.Tech in IT, M.E. in Computer Science and Engineering, M.Tech. in Software Engineering, M.Tech in IT and M.Tech in Microelectronics & VLSI Technology. All the courses are approved by AICTE. 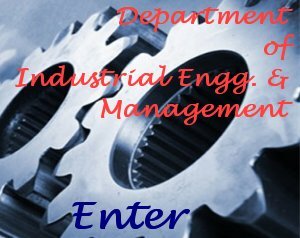 The Department of Industrial Engineering & Management under the School of Engineering & Technology offers M.Tech in Industrial Engineering & Management. This course is AICTE approved.